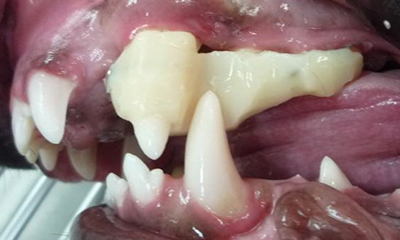 Also known as a Class 2 Malocclusion, an overbite can be a painful misalignment of teeth in your dog. The lower canine teeth are striking the roof of the mouth or palate. It can happen to both puppies and adult dogs. 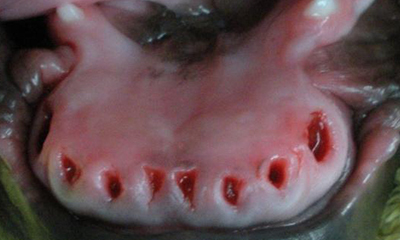 The goal is to provide a comfortable and functional bite for your pet as he/she matures. 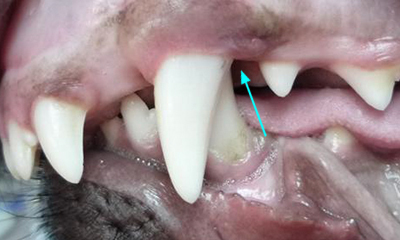 An overbite in a puppy where there is palate contact. 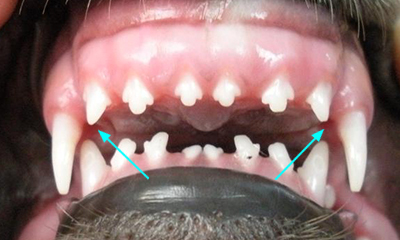 Puppies under 3 months of age: Extraction of lower incisors & canines to reduce pain and allow jaw growth. An incline Plane (bite plate) orthodontics designed to tip the tooth outward. Crown reduction (shortening) to remove palate contact. Schedule an appointment today to have your pet evaluated for any possible malalignment of teeth. 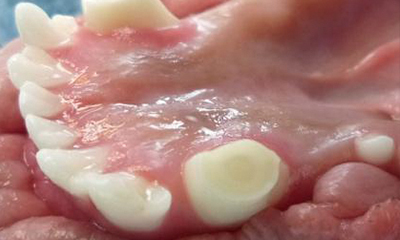 An overbite or class 2 malocclusion results in the lower canine teeth striking the roof of the mouth or palate. This is a painful condition. Dental therapy should be performed as soon as possible with the goal to provide a “comfortable and functional bite”. Extraction therapy of puppy teeth is recommended as young as possible (6-9 weeks of age), to relieve the pain of tooth-to-palate contact as well as to allow the lower jaws to grow to their genetic potential. Unfortunately, most lower jaws will remain too short. 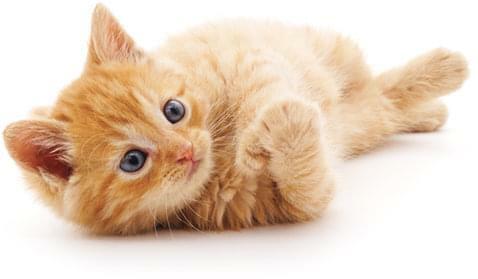 Therefore, these pets must be re-evaluated at 5.5 months of age to select the best therapy: orthodontic therapy, extraction of the lower canine teeth or crown reduction (shortening the teeth) and pulp capping.